FŌM is a product I created in response to a “package within a package” design problem. I’d recently read about the benefits of good bacteria and the problem that alcohol and triclosan based hand sanitizers might be making us sick because of their scorched earth policy of sanitation; those products kill good and bad bacteria. Washing your hands does a better job of not only cleaning off the bad bacteria and germs from your hands, but also keeping around the good. FŌM stems from an idea of having readily available and safe hand soap anywhere you may need it. 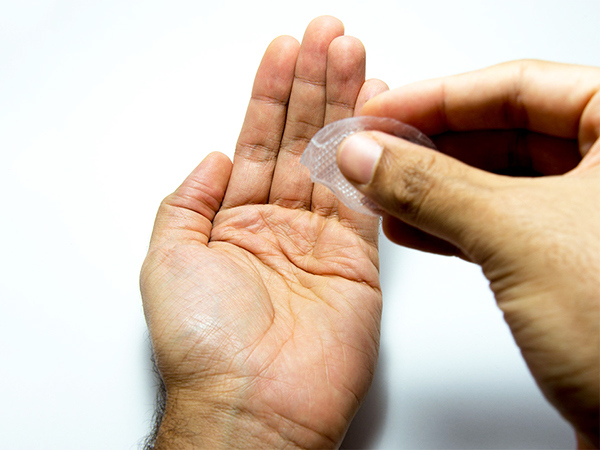 The packages are small, single use soap sachets that a customer could securely carry around. Then when the need arises they could pull it out, rip the tip, and wash their hands. No more cheap soap that most places put in their bathrooms if they actually have soap in the first place. I decided on the shape of the sachet pretty quickly and once the logo was in place, after several iterations, it was time to build. I used vinyl to build the boxes and printable film normally used for screen printing, for the labels. The sachets are built using vacuum seal bags, my clothes iron, a turkey baster, and some liquid soap. 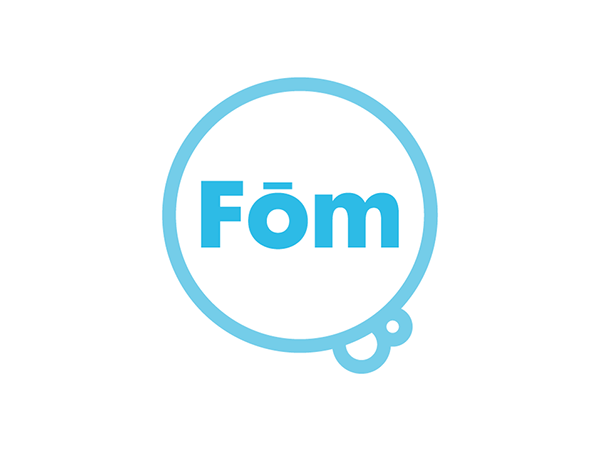 The FŌM logo is essentially a graphic representation of foam bubbles. It needed to have the ability to stand on its own with or without the word FŌM inside of it. The FŌM outer box. I wanted the shape and opacity to call back to soap and a feeling of cleanlines. The outer packaging would have a snarky explanation on why soap is good and hand sanitizers are not. 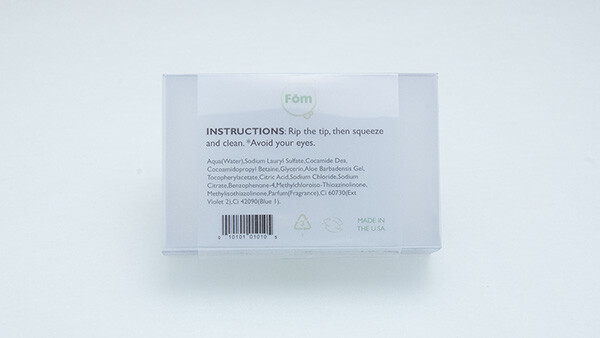 The rear of the FŌM packaging with instructions and the other required elements expected on a soap box. Each box would be labeled by the color of the soap within instead of the name of a fruit or flower. Each scent would be unique, however. The FŌM sachet. Rip the tip and squeeze. 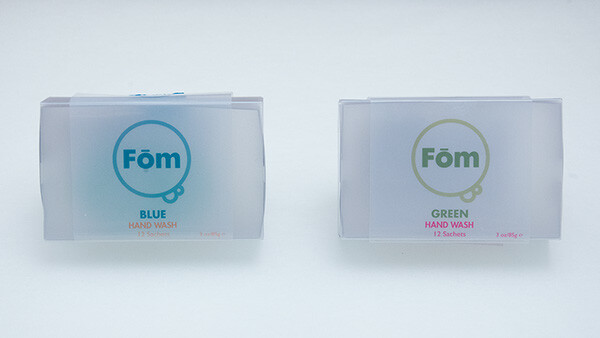 FŌM is a line of portable hand wash sachets. Rip the tip and wash your hands. No triclosan or alcohol killing off the helpful bacteria that you want to keep.